For the 2019 Alfa Romeo 4C, the coupe is no longer available, leaving just the Spider convertible as the body style. There are more standard features than before, now including a rearview camera, cruise control, and rear parking sensors. Otherwise, the 2019 4C essentially continues the trend of other first-generation model years of this vehicle. You get razor-sharp handling, good fuel economy that is actually achievable, and exotic styling. 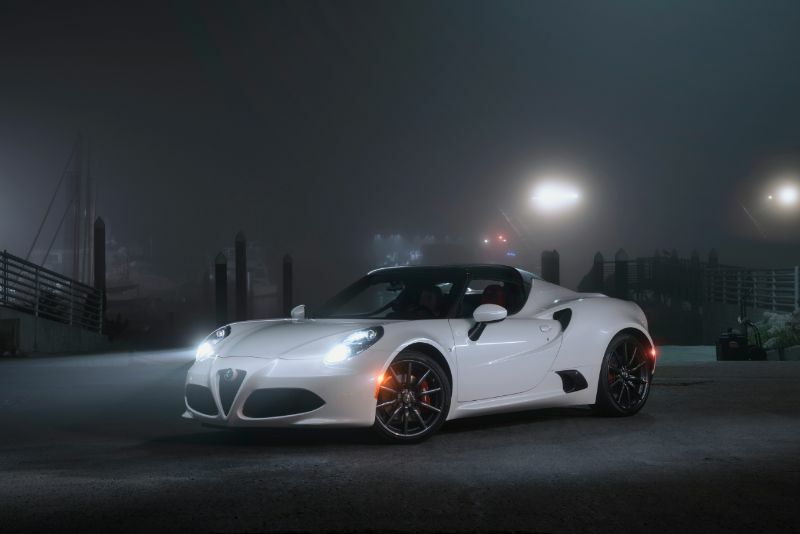 When you drive the latest Alfa Romeo 4C around town, you are sure to turn heads. It has the price tag you expect from a sports car, but it looks like a supercar. This is the perfect combination for many drivers. The pointed noise has the signature triangular Alfa grille. It is framed by bug-like headlights that are unique. As you move towards the rear of the auto, you will notice intake scoops and exaggerated curves. The rear haunches are large and sport twin round taillights. 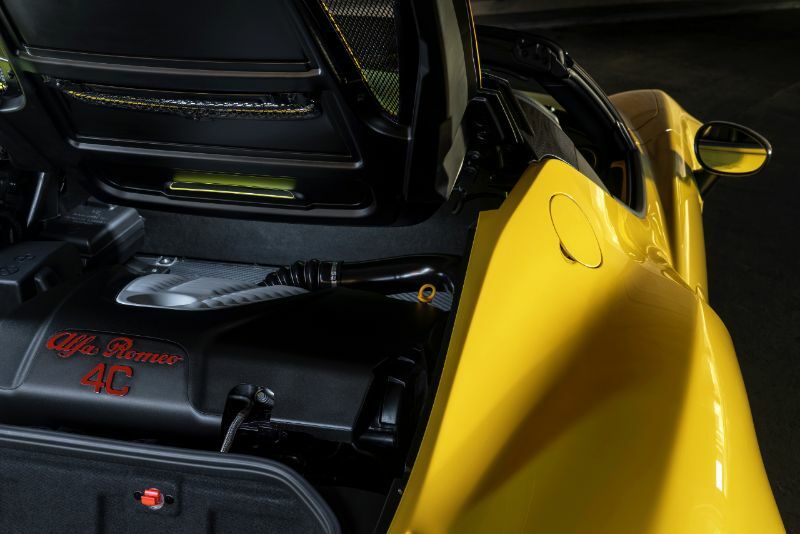 The interior of the 4C keeps design to a minimum. The dashboard is certainly driver-oriented. It includes a radio head unit that looks fairly average. The seats are nice and racy, thanks to the exposed portions of their carbon fiber tub. You will find digital gauges that focus on functionality instead of style. The gauges do, however, change colors based on your chosen drive mode for a bit of flair. You should not expect much adjustability or cushioning from the seats and will not find a glove compartment. Instead, the 4C has an elastic net on the dashboard’s bottom. Climate controls limit passenger legroom somewhat. In terms of storage, expect very little as the rear compartment can only hold 3.7 cubic feet. 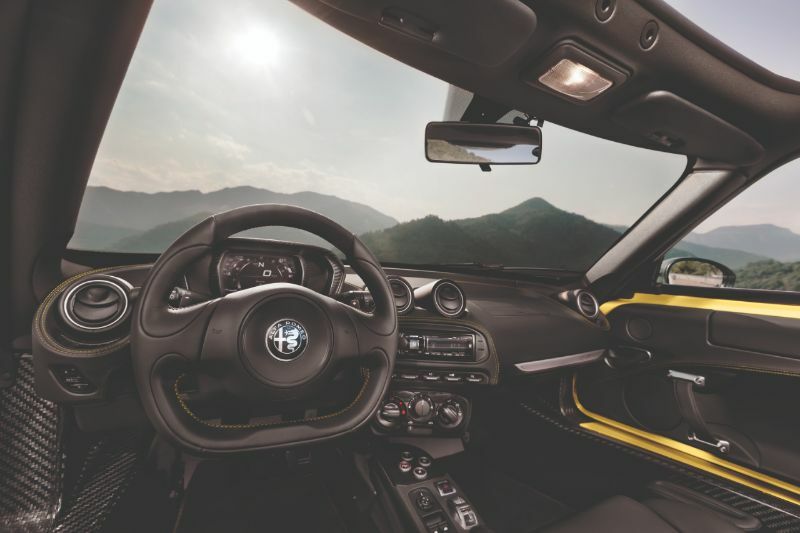 The standard 4C delivers cloth sport seats that are manually adjustable and a leather-wrapped flat-bottomed steering wheel. It also offers a 7.0-inch instrument cluster, Alpine stereo, a USB port, and Bluetooth. New features for 2019 include an optional microfiber steering wheel plus carbon fiber mirrors. The 2019 4C is designed with performance in mind. It delivers the most enjoyment when on a local race track or twisty backroad. Among its performance features, the 4C stands out with braking, steering, and handling. These factors are all influenced by the fact that it weighs just less than 2,500 pounds, which is a full 500-900 pounds less than the competition. 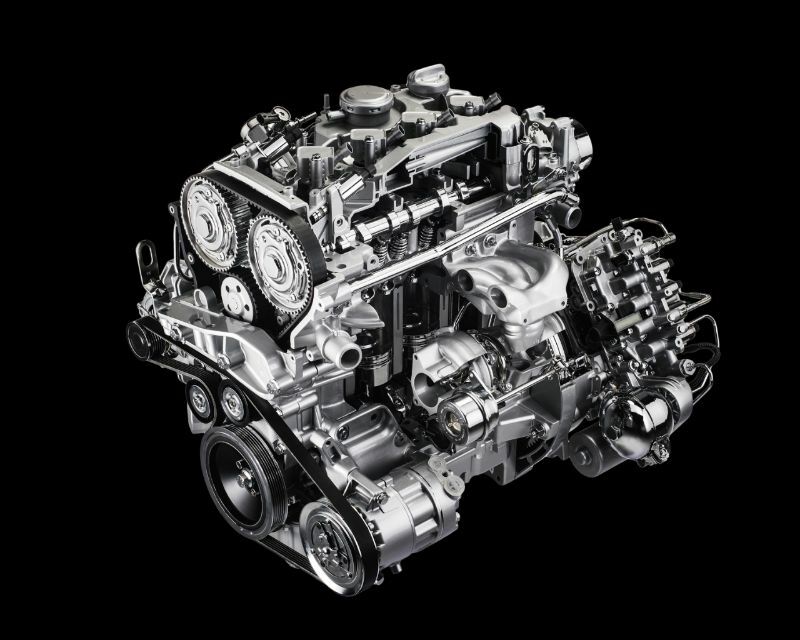 Instead of using a V8 engine like you would expect from a supercar, the 2019 Alfa Romeo 4C uses a 1.75-liter four-cylinder with a turbocharger. This engine delivers 237 horsepower plus 258 pound-feet. Combined with the light weight of the vehicle, this means it can reach 60 mph from a stop in just 4.5 seconds. The engine is small but loud. The power gets delivered via a six-speed dual-clutch automatic transmission and rear-wheel drive. 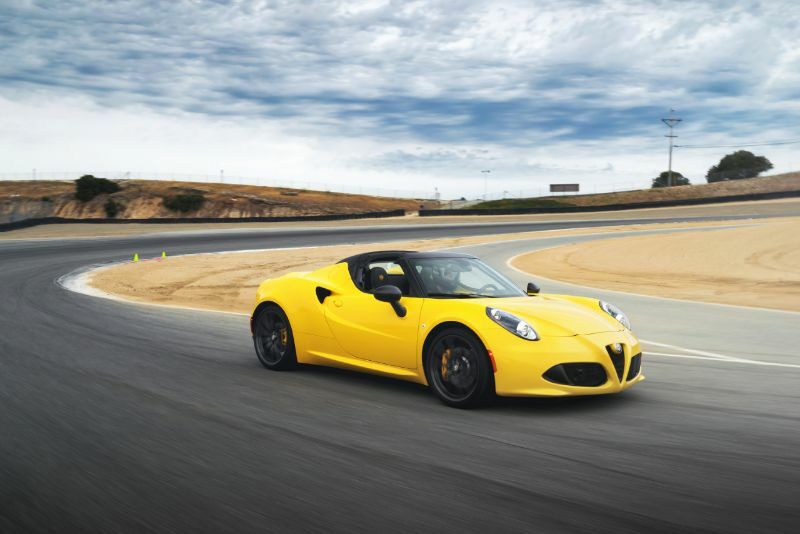 The ability of the Alfa Romeo 4C to brake with ease comes from its four-piston, 12 -inch front brakes. 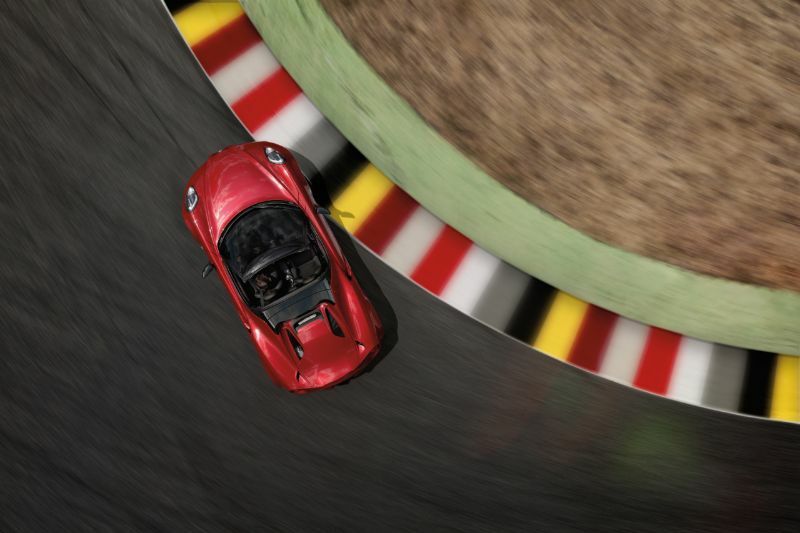 The Alfa Romeo 4C does not offer any active safety features. It does, however, have dual front air bags, a driver’s knee air bag, side air bags, and hill-start assist. As mentioned, the rear parking sensors and backup camera are now standard instead of optional.